If there’s a scene everyone knows from Pet Sematary, it’s the one where Jud Crandall, wizened voice of New England wisdom, issues an ominous warning about the graveyard of the story’s title, a place in the woods where the buried don’t stay that way. A long version of the speech appears in Stephen King’s original novel, his bleakest and scariest, a riff on that old campfire tale “The Monkey’s Paw.” And it’s the centerpiece of Mary Lambert’s 1989 adaptation, which cast Herman Munster himself, Fred Gwynne, as the folksy old-timer, delivering those immortal words: “Sometimes, dead is better.” They get spoken again, naturally, in the new Pet Sematary, this time by John Lithgow, with all the solemnity but only a hint of the oddball enunciation. But there’s an extra layer of meaning to the monologue, sprinkled like handfuls of dirt over Hollywood’s latest attempt to bring an old hit back from the grave. This may look like the same story, but the soul of it is missing—lost on the way out of the ground. 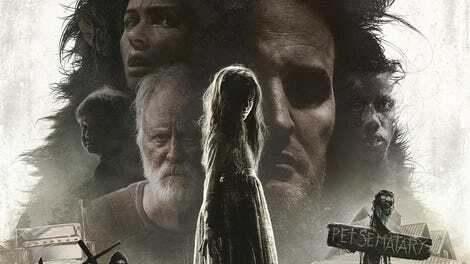 Directed by Kevin Kölsch and Dennis Widmyer, who made the well-received psychological thriller Starry Eyes, this Pet Sematary gets maybe half of its equation right. Though the filmmakers have taken some very dramatic liberties with the plot, their version faithfully preserves King’s setup. 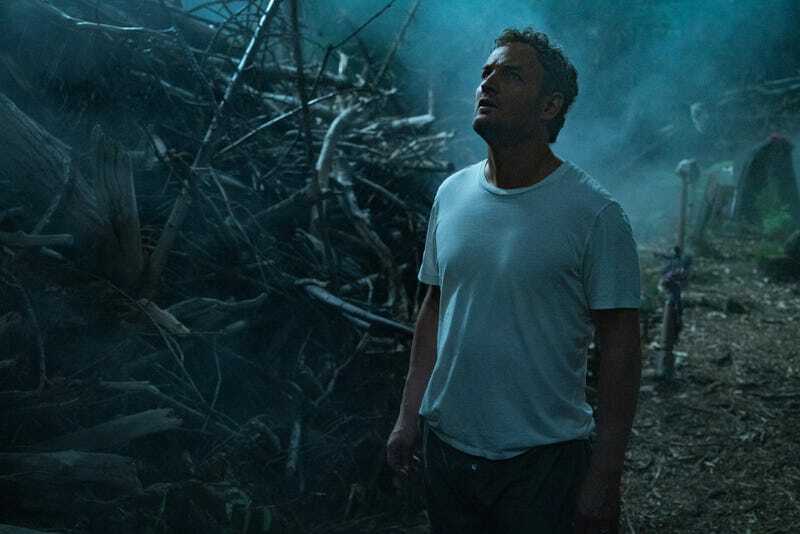 A doctor, Louis Creed (Jason Clarke), moves from the big city—Boston here, Chicago in the book—to a sleepy small town in Maine, hoping to spend more time with his wife, Rachel (Amy Seimetz), and their two children, preteen Ellie (Jeté Laurence) and toddler-aged Gage (Hugo Lavoie). It’s a peaceful new life, save for one source of encroaching trouble on the horizon: the monstrous semi trucks that come roaring down the road past their property. Before long, the family cat, Church, ends up dead in the ditch, run down by one of these behemoths. How will Louis break the bad news to his daughter? Jud (Lithgow) might know a way he won’t have to. Against his better judgment, the old man leads his new neighbor through the forest behind their house, past the “official” pet cemetery, and straight to the soil of an ancient Indian burial ground that beckons to the bereaved. For a stretch, Pet Sematary works a familiar slow-burn mojo, skillfully ushering dark clouds over its idyllic setting. The script, by Jeff Buhler, teases out some interesting tensions during the superior first half. Though he insists they discuss death with their kids openly and unromantically, Louis can’t bring himself to tell Ellie the truth about what happened to Church. In linking the horror that follows to that failure of nerve, the film wickedly, hideously distorts an ordinary parental pitfall: sheltering your kids from tough realities. Still, Pet Sematary doesn’t expend much time on its relationships, too busy is it chugging along from one plot point to the next. (Jud, whose friendship with Louis is a flicker of warmth at the center of the novel, is basically reduced here to an exposition machine, try though Lithgow does to provide the role its own gravitas.) Nor does the film stare, with much courage, into the void of grief that opens up at the center of the Creeds’ lives. That, of course, was the meat of King’s novel. Published in 1983, against the author’s justifiable concern that he had “gone too far this time,” Pet Sematary isn’t scary in the same way as some of his other bestselling nerve-janglers, like The Shining or It. The paperback thrills—the standard horror moves, in the EC Comics or slasher-movie tradition—don’t really arrive until the final few pages. Until then, King exorcises much deeper fears, embellishing a real-life brush with death—his family’s close call with tragedy—into his own personal worst-case scenario. If this Pet Sematary is scary, it’s in a much safer way, barely grazing the true horror of its premise. King’s grim meditation on mortality and loss has been flattened into a Friday-night creepshow. Material that called for the grueling intensity of Ari Aster’s Hereditary plays closer to Blumhouse, down to the way Rachel’s traumatic backstory—her guilt about the death of her sister, twisted into awful shapes by her spinal meningitis—is mainly mined for jack-in-the-box jump scares. Likewise: the appearances by an accident-victim specter (Obssa Ahmed), gusting into view periodically to whisper warnings but also to goose the jolt-free passages. There was more dread, perhaps, in the 1989 version, whose unintentional goofiness occasionally shaded into a dreamlike derangement. The new Pet Sematary is slicker and steadier, with generally better performances (though Gwynne’s paternal affection is missed). But it also feels more…normal, and further removed from the uncomfortable emotional bedrock of King’s story—the turmoil from which his big scares blossomed. As always, it’s a little unfair to measure a movie against the book that inspired it. Pet Sematary, to its credit, does go its own way eventually—the last act, which deviates a lot from the novel, should keep even old-hat fans in suspense. At the same time, these changes almost seem designed just to throw a curveball; they don’t entirely suit the trajectory of the narrative, a methodical march into total darkness. Watching Pet Sematary, one is reminded why King remains one of the most adapted of novelists: His work, punchy and visual and direct, feels made for the screen. At the same time, though, its deceptive power doesn’t always translate, inextricable as it can be from the way this enormously popular but not always properly respected writer brings us into the heads and hearts of his characters. This is one case where they didn’t dig that power up.